Stitcher, one of the most popular podcast services on the planet, gave its Android application a full makeover this morning. The app’s new UI takes notes from some of the new Android design guidelines, with its use of a fully swipe-able column style browsing experience and the action bar. 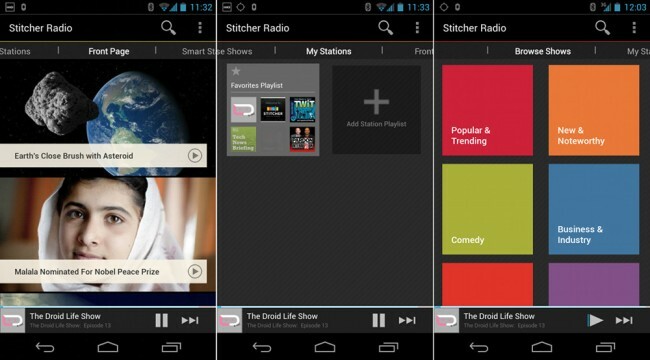 The Stitcher team also improved content discovery, made browsing much easier, allows for notifications controls with Jelly Bean phones, and made the app incredibly fast and stable. 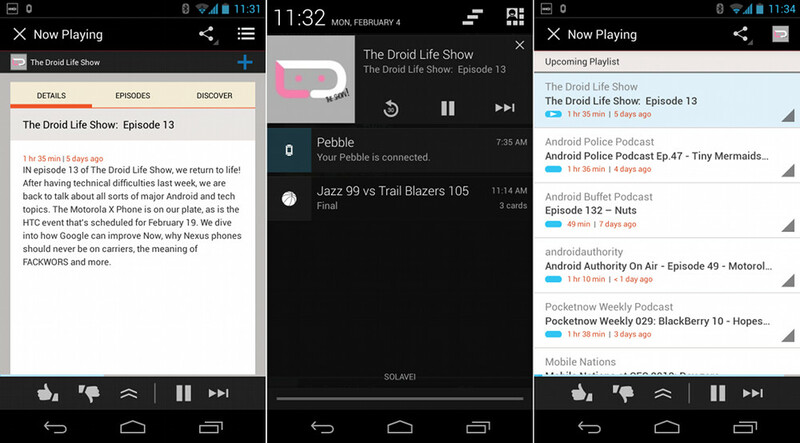 The Droid Life Show is also on Stitcher, so be sure to find us and subscribe. learning curve for Android users in handling the app. dynamic recommendations based on individual listening activity. media APIs to best deliver a smooth listening experience, rebuilding the audio player from scratch. tracking without unlocking their phones.